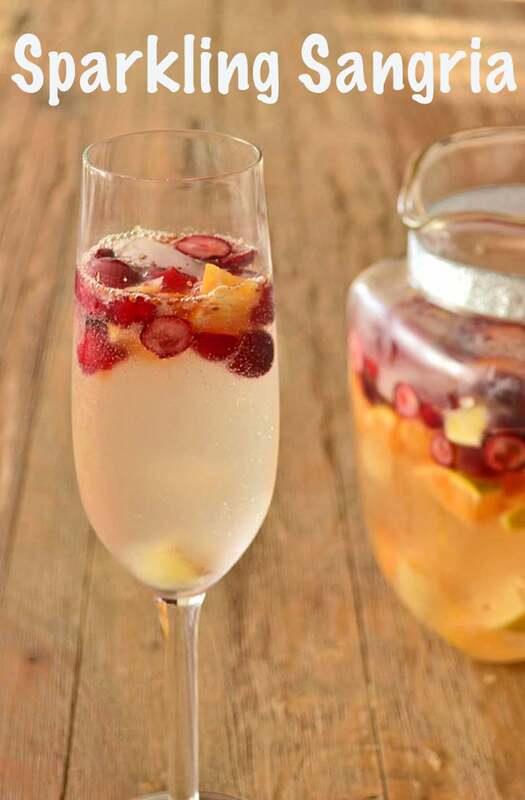 Make any party special with sparkling sangria. 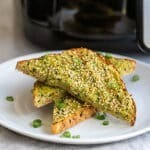 It’s easy to make a lot of this to serve to guests from a pitcher and it can be made in advance. 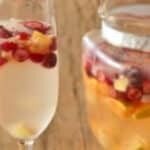 Today I’m sharing one of my favorite champagne cocktails, a Sparkling Sangria. It’s sparkling wine with a lot of ice and a lot of fruit. 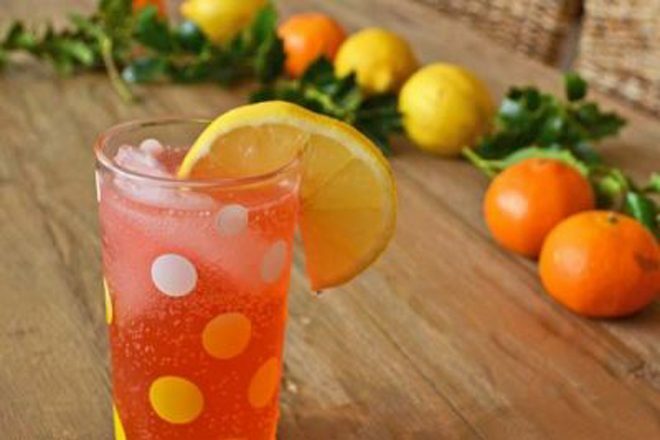 It’s a refreshing drink that would be perfect to start out your New Year’s Eve. Before your guests arrive, make up a pitcher of it. Greet them at the door with the pitcher and a glass to pour into. Then lead them to the bar and show them the ingredients and recipes for the other champagne cocktails that they can sample throughout the night! 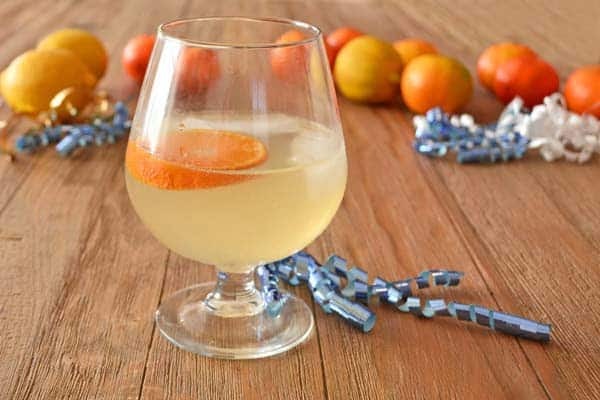 Get the list of ingredients that you’ll need to make the six champagne cocktails here. Put the cranberries in a medium sized bowl and cover with hot tap water to defrost them. Once defrosted, drain them and then chop them up. If any juice accumulates on the cutting board try to save it to add to the sangria. Similarly, roughly chop the orange and the lemon also saving up any of the juices that squirt out onto your cutting board. Fill a 1 and 1/2 liter (50 ounce) pitcher 1/3 full of ice. Add the cranberries, orange, and lemon along with any of the accumulated juice. 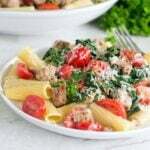 Store in the fridge for up to 30 minutes before serving. 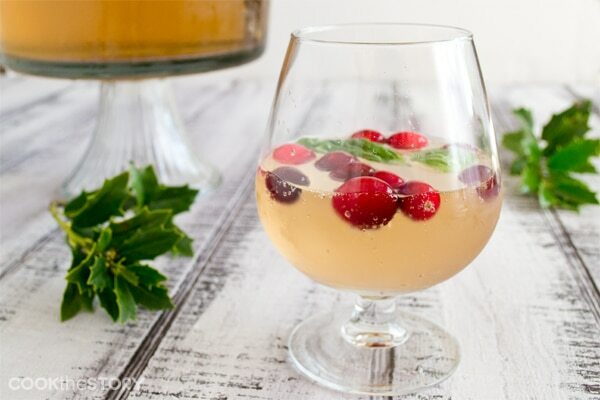 I like to serve this sangria in Champagne flutes but you can use regular wine glasses or martini glasses. 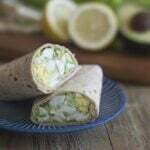 This post originally appeared in December, 2012 and was revised and republished in December, 2018. The best suggestion on this page is the one about greeting your guests at the door with the cocktail—it makes a CRAZY GREAT impression! I’ve done this for years and am guaranteed a really impressive response; friends will talk about what a neat feature of your party it is! I agree, Jeph! So great to be greeted with a drink. Happy Holidays! It may not be new years eve anymore, but it is my husband and my 2nd year wedding anniversary. 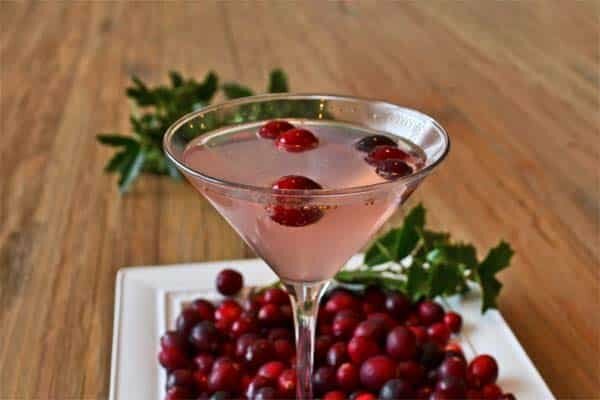 I think this cocktail is just perfect for the occasion!